READ: Review of New Book: "Obama and the Gays, A Political Marriage"
Obama and the Gays: A Political Marriage is the new book edited by veteran Chicago-based journalist Tracy Baim, the publisher and editor of Windy City Times. It's the first book to address Obama’s evolving relationship with the LGBT community, and features key interviews with LGBT movement leaders and contributions by leading gay journalists, bloggers and activists. I'm delighted to be included among the contributors. Daily Kos reviews Obama and the Gays and to my surprise, singles out my essay as their favorite. "Carrying through on campaign promises isn’t exactly revolutionary - politicians generally are at least supposed to try, especially if they want to get re-elected. But after eight years of relentless assault from the conservatism of the George W. Bush administration - and press secretaries who functioned as little more than high-functioning, carbon-based Dictaphones for the far right - Gibbs' response was the same adrenaline shot to the heart that Uma Thurman received in Pulp Fiction". That is the type of writing and literacy this book contains. Other contributors include: Wayne Besen, The Advocate's Kerry Eleveld, Reverend Irene Monroe, Karen Ocamb, Michelangelo Signorile, Pam Spaulding, Andrew Tobias and Phill Wilson. Obama and the Gays: A Political Marriage is available through Amazon.com, e-book readers, CreateSpace or off the shelf at Women & Children First Bookstore and Unabridged Books in Chicago. More news on the book in weeks to come and thanks so much to Tracy Baim for the opportunity. Pam Spaulding, one of our good friends and the activist and blogger par excellence behind Pam's House Blend, will experience major surgery today. Unfortunately Pam will be on unpaid leave from her job to recover. Pam has been a great personal friend and a strong supporter of Rod 2.0. We wanted to do our part to send great vibes and as much love and support as possible. It will be surely be a difficult month for Pam, so please send your best wises and any donations you can. You PayPal HERE or via the button on PHB. Best of luck and get well soon, Pam, from Rod and the R20 family! Obama and the Gays: A Political Marriage is a brand new book by veteran Chicago-based journalist Tracy Baim, the publisher and editor of Windy City Times. The book traces President Barack Obama's evolving and sometimes complicated relationship with the LGBT community and frames what the Obama Administration has and has not accomplished on these issues. Obama and the Gays is the first book to address Obama’s relationship with the LGBT community. The book features key interviews with LGBT movement leaders and contributions by leading gay journalists, bloggers and activists. I'm delighted to be included among the contributors. Look for my analysis on the Obama Administration's decision to poll straight servicemembers and their families on "Don't Ask, Don't Tell". I initially feared this would be dated by the book's publication but as we can see that is not the case. Obama and the Gays: A Political Marriage is available via print on demand through Amazon.com and e-book readers. It is also available at CreateSpace. More news on the book in weeks to come and thanks so much to Tracy Baim for the opportunity. Kai Wright, the editor of ColorLines, invited Pam Spaulding of Pam's House Blend, Miriam Zoila Pérez of Feministing and myself to participate in "Queer Blogger Roundtable: What's the Future? 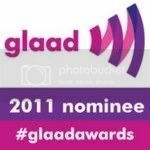 ", a virtual discussion on LGBT online media, race, sexuality, pop culture and the Obama Administration. The discussion is getting lots of feedback on Twitter, Facebook and at ColorLines. It's still conventional wisdom both inside and out of LGBT circles that Black and Latino neighborhoods and families are exceptionally homophobic. How do you answer that when you hear it? PAM: I give an honest answer: yes and no. In black and Latino communities, the matter is not completely about race, per se, it's about whether you're talking churched or unchurched. Religion is by far more important than race when it comes to fomenting homophobia, however, the black and Latino communities at large have not held publicly accountable the pastors stoking anti-gay sentiment. That's going to take time to change. MIRIAM: What gets me most about this blame game around homophobia is the role that white communities--primarily through the history of colonization--have had in the homophobia that exists in the communities of color. You can see this even more clearly internationally, but in immigrant communities here as well. In many (if not most) communities of color, there is a vibrant history of sexual and gender diversity. Think of two spirit folks in Native American communities, hijras in India, etc. It was often the colonial powers that came in (with strong religious agendas) and stamped out much of that culture of diversity and acceptance. Now white folks are coming back around to sexual diversity and they're finger pointing at communities of color? Oh hell no. ROD: The largely white evangelicals and Mormons have surely taken homophobia to new levels. And black folks ain't voting Republican, you know? They might not call you a "fag" in the suburbs, but your neighbors will often vote against your rights in a heartbeat. Happy gay pride from your racist and homophobic shock jocks! Pam Spaulding points us to this clip from Birmingham, Alabama radio dj's Rick Burgess and Bill "Bubba" Bussey, the hosts of WZZK and XM Radio's The Rick and Bubba Show. The good ole boys mocked President Obama's LGBT Pride Month Proclamation. "There's nothing about special about gay people, why the Pride?" asks Bubba, who adds that there are no "fornicator pride" or "adulterer pride" days. Oh no, the mega-churches and the Republican Party recognize and justify those sins daily, "Bubba." The State Department has issued more flexible passport rules for transgender people. Sexual reassignment surgery (SRS) is no longer the sole requirement for a gender change on a passport. Documentation of clinical treatment for gender transition is all that is needed, according to a notice emailed by the White House. Pam Spaulding broke the news last night. Transgender activists say the new regulations will make travel abroad safer and less intrusive, as well as facilitate the acquisition of state and local documents and identification.